Chicago’s Fatimah Warner is a human being before anything else. The fact that she’s also one of the most exciting new voices in rap music won’t get in the way of that. From her chosen moniker, Noname, to her conversational tone of voice when rapping and an aversion to spotlight, she’s entirely relatable to a generation of people who don’t feel comfortable “stunting for the ‘Gram” and forcing themselves outwards. She is the comforting voice that reminds us that sometimes it’s OK to not be OK. The 25-year-old rarely does “awkward interviews”, so even the way she interrupts to make sure she knows my name before we progress into conversation, is a reminder of a very human interaction - rather than the cold, press factory that’s often built between labels, PRs, the media and well conditioned artists. You won’t find any ego filtering its way into Noname’s music, she avoids braggadocio and describes her personality as “reserved” and “self-critical to her detriment”. Instead of shoving a highlight reel of achievements and imagined successes down the headphones of her listeners, she keeps things as honest and raw as possible, committing her reality to the record - even if it can be uncomfortable. “I’m very into the idea of being my truest self within my art,” she explains. “I think it speaks value when some people are just as honest as they can possibly be. I wanted people to really feel like they were really listening, like sitting in a room with Fatimah.” As a result 'Telefone' is even more enrapturing. On its first few spins it feels like a new friend that you want to spend more time with, and after that it becomes that person you can hang out with all the time without ever even needing to speak. 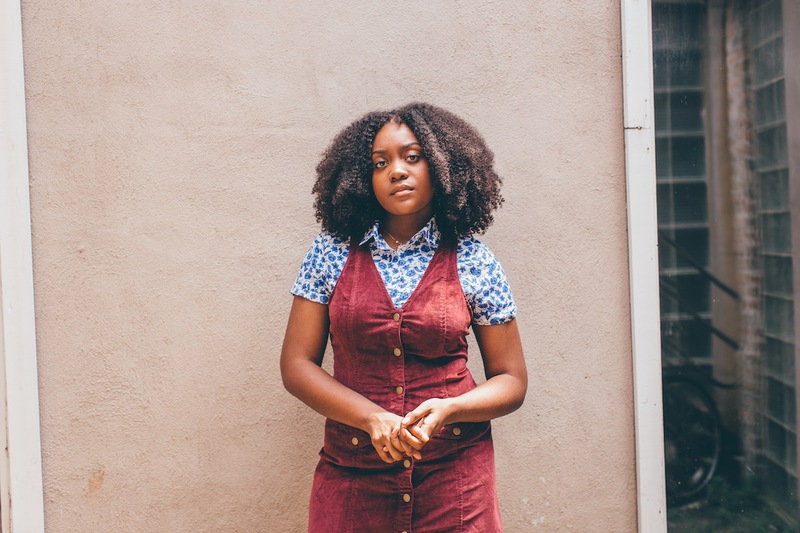 You can rely on Noname to be honest, but her music is comforting at the same time. It’s fitting that friendship also played a major factor in the creation of the tape. Rather than forking out for expensive studio time, Noname holed up in an Airbnb out in Los Angeles with three of her close friends - producers Cam O’bi, Saba and Phoelix - where they made the bulk of the tape, fuelled by films (rewatching ‘Ali’ with Saba one night was particularly inspirational) and the cities’ “unexplainable good energy”. Chicago is a very complex city, it’s very nuanced and sometimes can be very sad. Although her hometown of Chicago is very much the most important supporting character in 'Telefone', she felt the need to get some perspective outside of it during the recording process. “You just need to get away from your typical surroundings to make art sometimes,” she says. “Chicago is a very complex city, it’s very nuanced and sometimes can be very sad.” The sadness, she explains can be drawn from a spectrum of something as natural as having a Winter, to the horrific reality of police violence and murder that she reflects on in ‘Casket Pretty’. 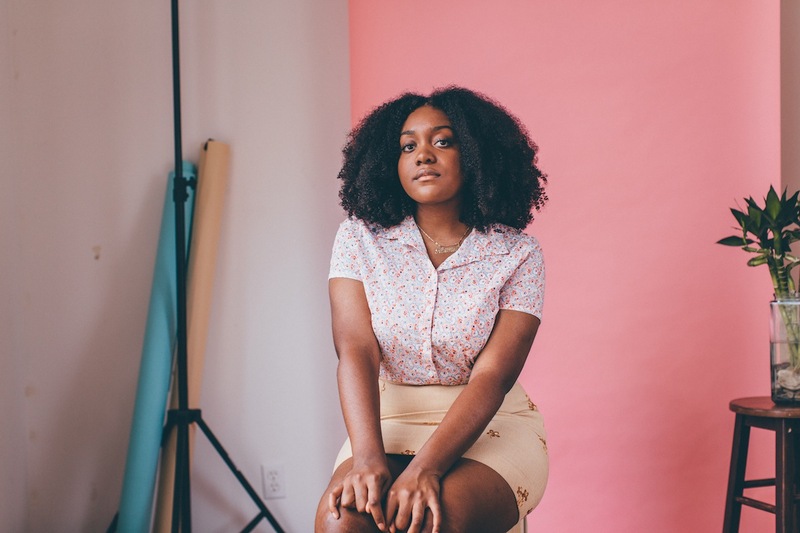 Noname plays Village Underground tomorrow night (October 26th) with Mick Jenkins, then hits Electrowerkz on October 27th - both venues are in London.